larissa taboryski – Design Your Lifestyle. 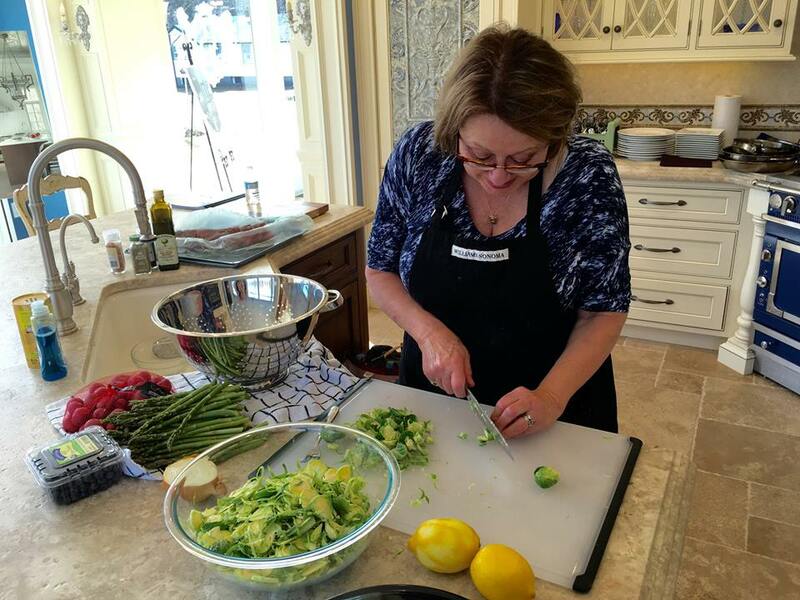 La Cornue + Purcell Murray Host Exclusive Cooking Class at Peter Salerno Inc.
March 2016 June 2016 Peter Salerno, Inc. 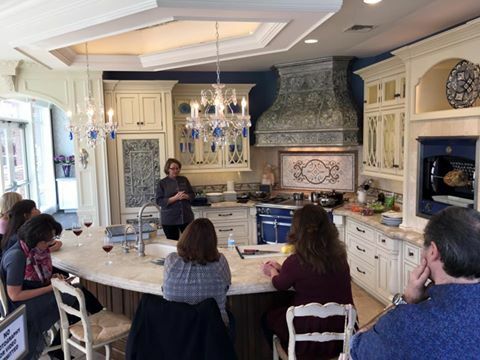 In early March, Peter Salerno Inc. hosted an exclusive cooking class for clients who purchased a world-renowned La Cornue range or rotisserie. The class was presided over by Larissa Taboryski, Culinary Director of La Cornue for Purcell Murray – one of the pre-eminent La Cornue culinary experts in the world. Larissa Taboryski of Purcell Murray and La Cornue prepares a cooking class at Peter Salerno Inc.’s showroom. Larissa’s expertise was evident well before the private class even started. Her preparation for the course was meticulous and full of fresh ingredients (including absolutely beautiful vegetables). She was precise and kind, happy to share each step of her process with Peter Salerno and his staff. When our valued clients arrived, Larissa Taboryski and the Peter Salerno Inc. team welcomed them to a one-of-a-kind experience. Peter’s clients who have purchased La Cornue ranges and/or rotisseries are keenly aware of the dynamic, world-class nature of their appliances. As such, they paid close attention to Larissa’s presentation, hanging on every word and taking notes for home use. The course took place in one of the crown jewels of Peter Salerno’s Wyckoff, NJ, showroom, the La Cornue kitchen. Equipped with the La Cornue Château 120 range and Flamberge Rôtisserie, Larissa had all the tools necessary to create a culinary masterpiece – and did she ever deliver! It was Peter Salerno’s pleasure and honor to welcome not only Larissa on behalf of Purcell Murray and La Cornue, but also his valued clients. A heartfelt thank you goes out to everyone at Purcell Murray for helping make this experience possible – especially Larissa and our valued business partner and friend Craig Kmiecik. For more information on how to obtain a La Cornue range or rotisserie of your own, please contact Peter Salerno Inc. at (201) 251-6608 or fill out the contact form below.